Once the right infrastructures are in place, we expect to see Malaysia accelerating its e-commerce penetration, with a rate of anywhere between 4% to 5% in 2018 - a figure that doubles that in 2015. In 2017, the rapid growth of the e-commerce market in Malaysia spurred the expansion of the online shopping sphere, and encouraged local businesses to embrace omni-channel retailing. 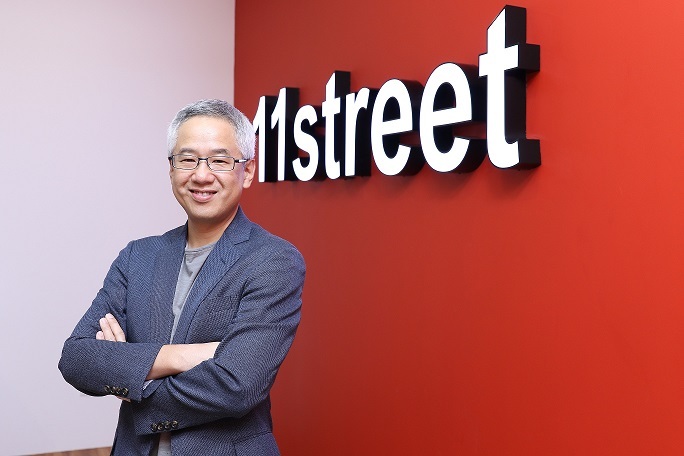 As 2018 beckons, 11street - Malaysia's second largest online marketplace - has predicted four key trends that will up the ante for e-commerce industry in the country: rise of diversified payment methods; evolvement of the check-out process; greater transparency on product delivery; and dynamism of the e-commerce market for brand players. Chief Executive Officer of 11street, Hoseok Kim said: "The e-commerce industry in Malaysia has done well, in which we see a penetration rate of 2.5%, and given the broadened acceptance of e-commerce, the time has come for e-marketplaces to make online shopping a better and more seamless experience for consumers. This means that we need to continue to innovate our services and offerings, to support the rapid growth of the industry; at the same time, exceed the expectations of consumers." "Once the right infrastructures are in place, we expect to see Malaysia accelerating its e-commerce penetration, with a rate of anywhere between 4% to 5% in 2018 - a figure that doubles that in 2015," Kim added. In 2017, 11street found that consumers demand for greater product varieties online; want more efficient delivery services; and expect to be delighted with a range of deals and promotions. These were on the back of the fact that consumers became more price-driven, and concurred that shopping for their necessities online would yield better bargains, in their bid to cope with rising costs of living. Kim elaborated: "Moving forward, 'experience' and 'convenience' will be the two central themes for 2018. Consumers will expect service upgrades and more offerings such as cashless payment, a more seamless check-out process, and an integrated product tracking system services for greater transparency." "On the other hand, more local businesses will embrace the online marketplace model and leverage the power of digital footprint to widen their market outreach and diversify their methods of market exposure." As consumers become more adept about e-commerce and gain to believe that it is the avenue to help them manage their day-to-day cost of living, they also expect to see more options for payment, such as going cashless through mobile wallets. According to the Visa Consumer Payment Attitudes Study 2016, seven in 10 Malaysians expressed a willingness to use mobile wallets, while 68% of Malaysians will opt to use contactless payments over cash. Existing offline payment methods such as MOLPay @ 7-eleven will continue to offer the added convenience for consumers, but e-commerce platforms also ought to note the growing prominence of the cashless society, to introduce new and varied payment infrastructures to appease consumer demands. The 'Remember Me' feature as consumers reach the tail-end of the transaction will set the pace for 2018, driven by two factors - convenience and efficiency. Already a must-have feature in global online marketplaces, the 'Remember Me' function will expedite online shopping and make it an even more seamless experience, as it has all the necessary payment and delivery information of the consumer in a secured manner. This feature is vital because in accordance to an analysis of 37 different studies about consumers' online shopping journey and their rates of shopping cart abandonment, it was found that consumers would disregard a purchase if the check-out process is too complicated or long. While online marketplaces introduce this feature onto their respective platforms, they also need to strengthen their check-out security to protect the privacy of their shoppers, to result in a holistically safe shopping experience. Today, consumers do not only want their products fast - they also expect to know exactly where they are and when they will reach. Product visibility is now a common want of the new breed of consumers, e-commerce platforms need to simplify the delivery process, yet embed a comprehensive tracking system to shorten consumers' anticipation period and essentially, give them greater transparency on the whereabouts of their purchases. Fundamentally, to support the growth of the e-commerce industry, online marketplaces need to ensure that their website interface is more intelligent, their customer care service remains outstanding pre- and post-purchase, and a delivery service that is fluid. Local businesses and brand players, regardless of the size of their organisations, realise that as e-commerce cements its dominance in the online retail sphere, it is also the ideal platform to support their growth. Giving nod to this, organisations that want to excel are expanding omni-channel to better accommodate the shoppers. The store-in-store concept (an online shop within an online marketplace) will helpthe businesses and brand players to bridge the gap between their offline-to-online transition, increased brand visibility and branched out beyond their own digital assets. 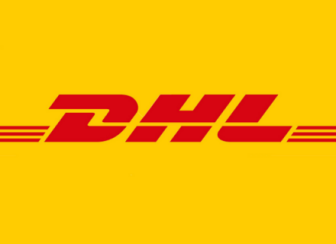 This strategic move will not only allow them to leverage the online marketplace's marketing capabilities to bolster greater brand visibility, they also tap onto its secure payment and logistics management, in order to focus on their above-the-line tactics. Furthermore, one rising trend is the 'Click & Collect' concept, in which consumers will purchase products from a particular brand from an online marketplace, and then driven to its offline store to try out and purchase. This spells another opportunity for brands to forge stronger synergy between their offline stores and their corresponding online marketplace, to upsell their brands and other offerings. This tactic has proven to be successful in other advanced markets, with 60% to 75% shoppers voicing their preference for this, for they believe it encourages them to shop more during item collection. In summary, Malaysia is poised to see greater success in the e-commerce industry in 2018, driven by the improved infrastructure and logistic service nationwide, and increased technical support for businesses to deploy an omni-channel strategy.